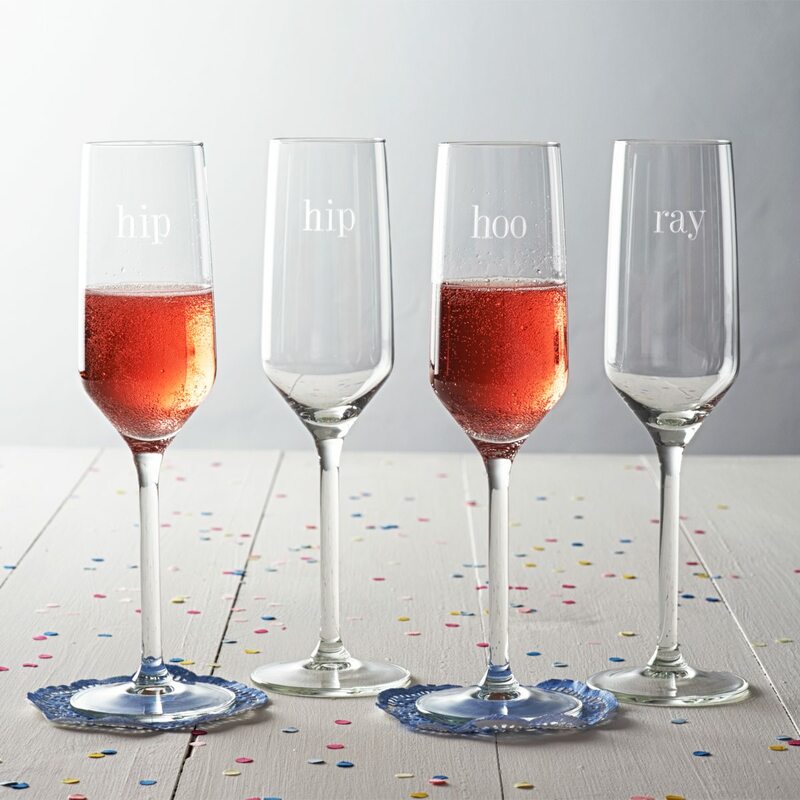 Celebrate in style with our ‘Hip Hip Hooray’ etched champagne flute set. 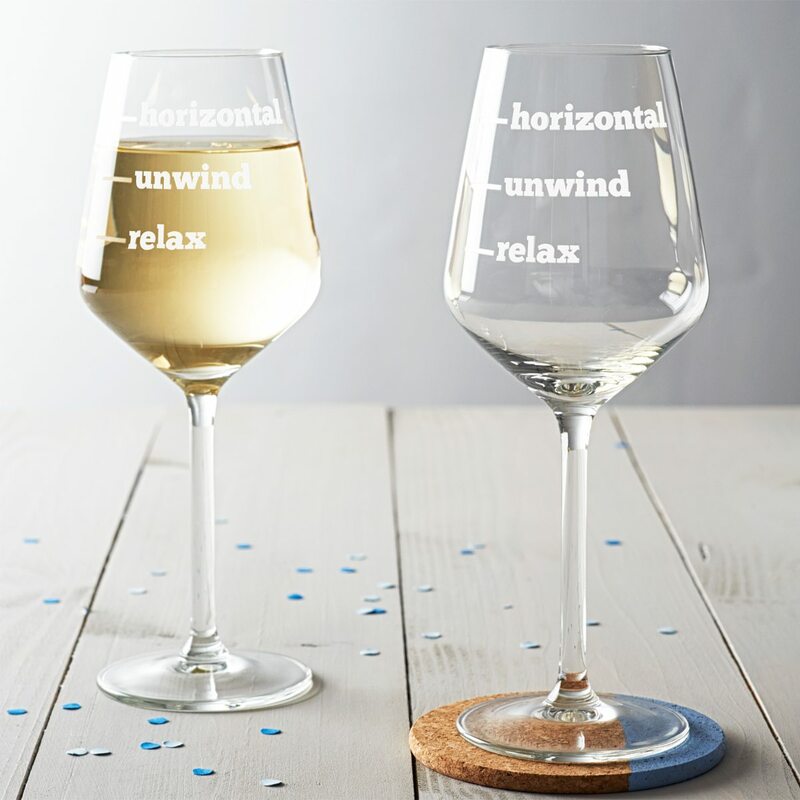 We all need a little rest and relaxation sometimes, now you can have your very own wine glass to suit! 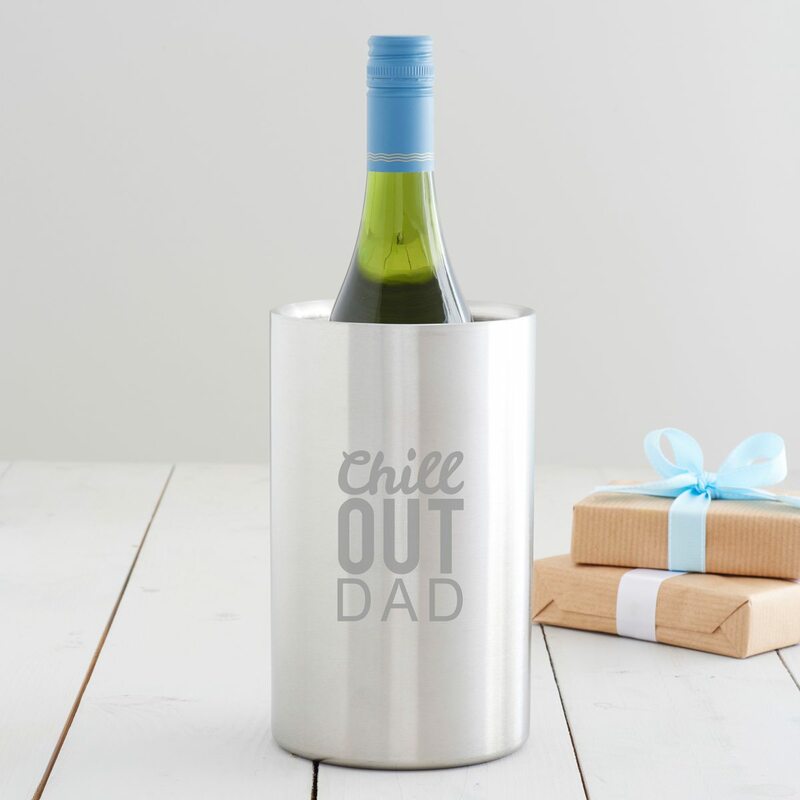 This personalised wine cooler would make the perfect gift for wine lovers! 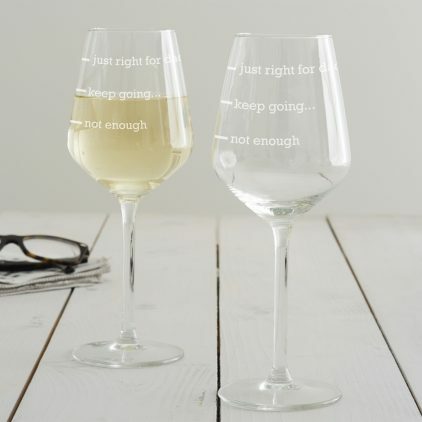 A hand etched wine glass featuring measures for a dad who likes a large glass of vino! 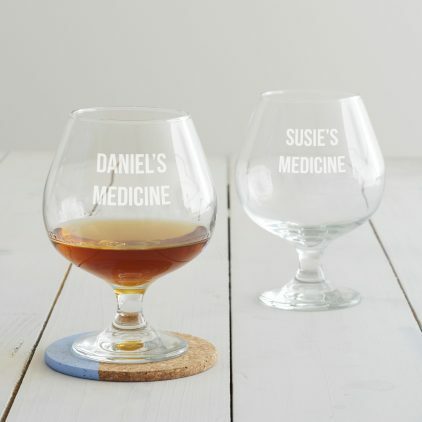 This personalised ‘medicine’ brandy glass is designed for the days when the only cure is a large drink! 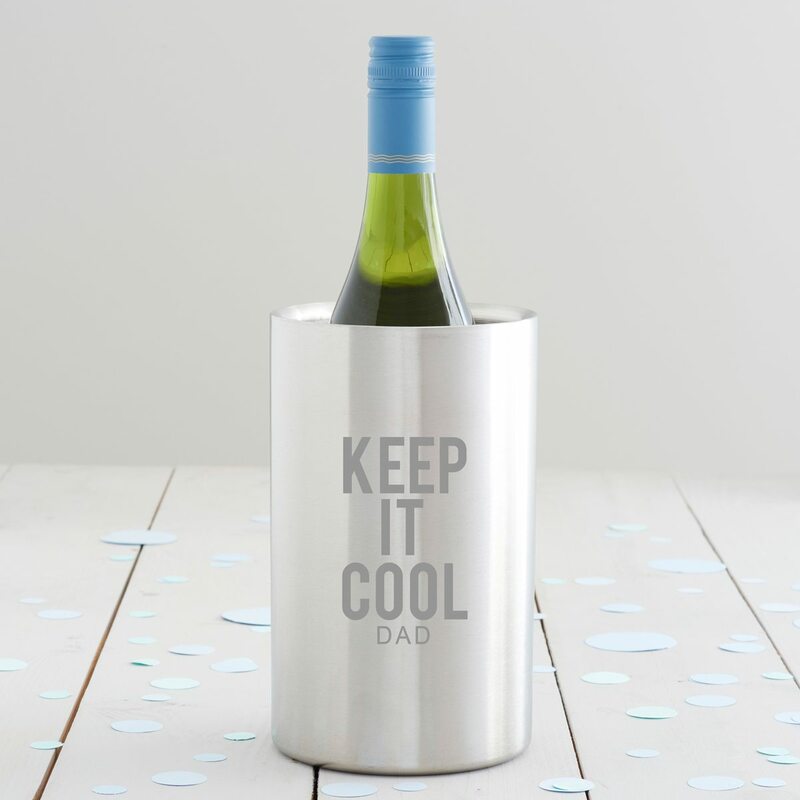 Create a spectacular centrepiece for your celebrations with this personalised wine cooler. 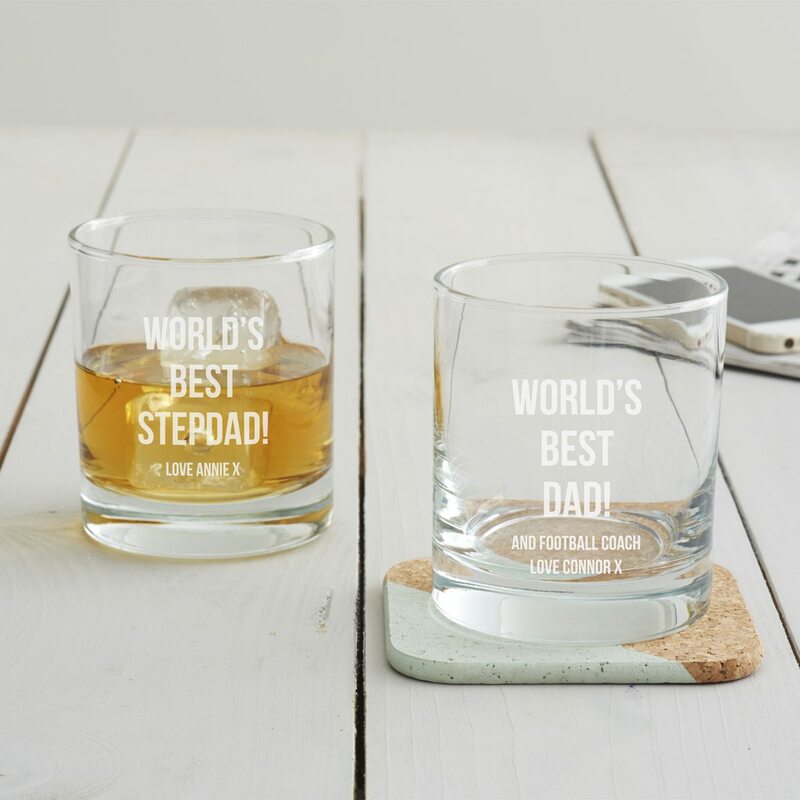 A sentimental and personalised brandy glass for grandad is the perfect Father’s Day gift for a brandy drinker. 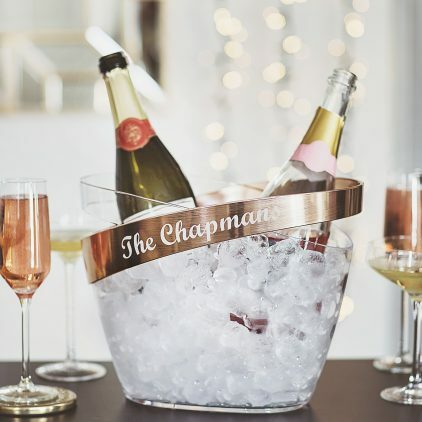 Our Personalised Copper Banded Champagne Bucket is the perfect addition to any New Years Eve party. 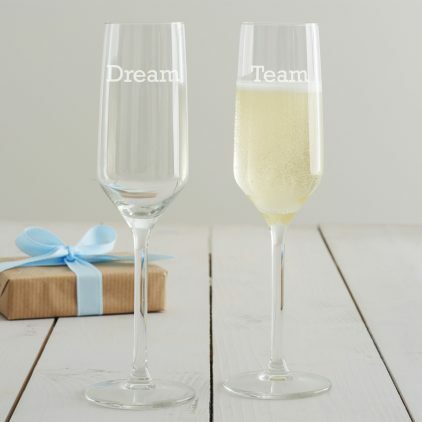 Our Personalised Corporate Champagne Flute Set would make an ideal personalised corporate gift for clients, business partners and colleagues. 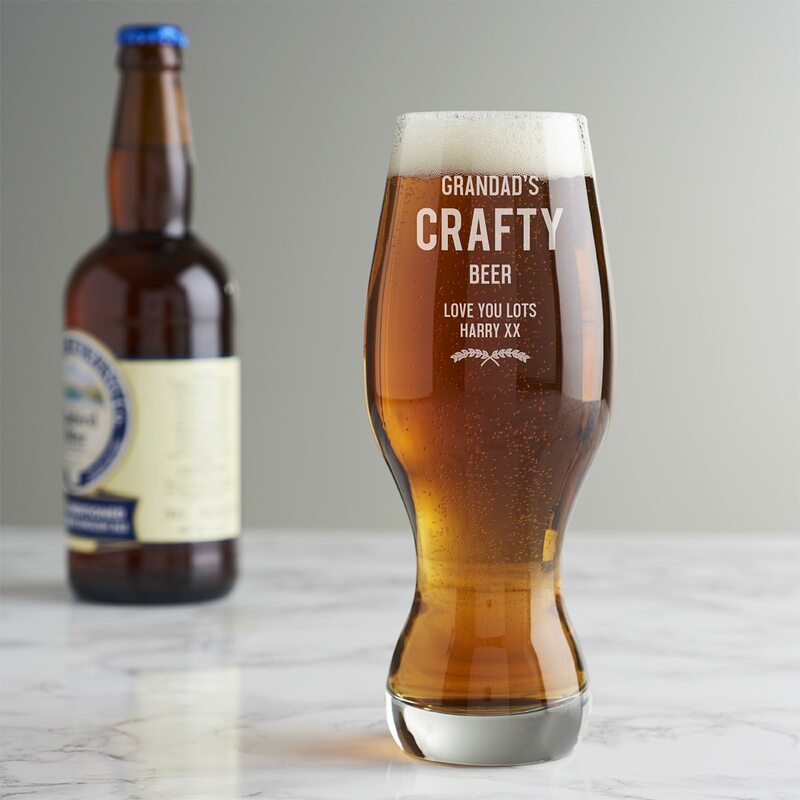 A personalised craft beer glass that would be a great birthday gift for a home brewer. 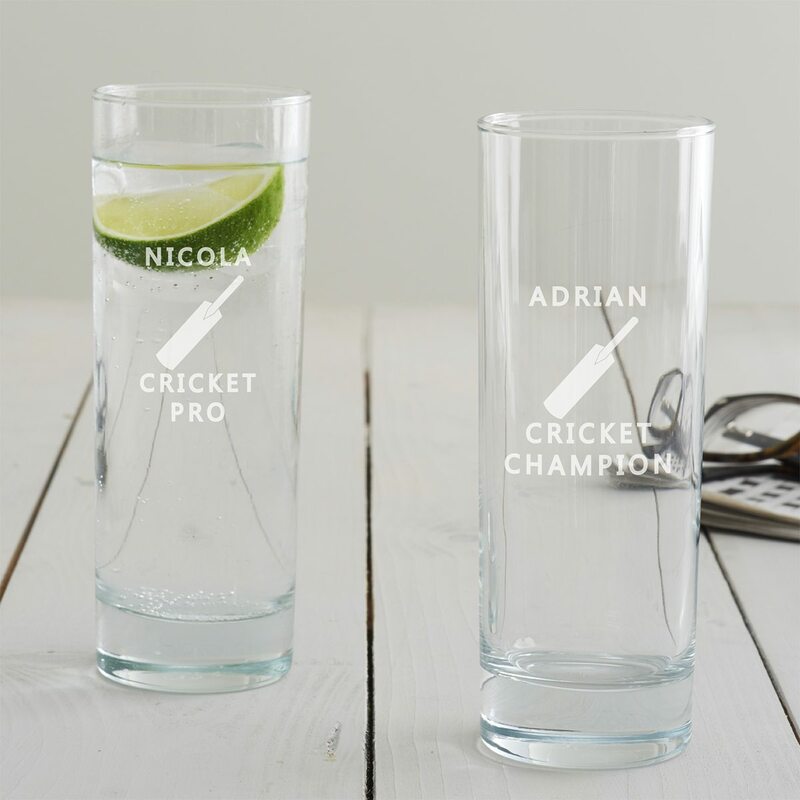 Treat your favourite cricketer or cricket fan to a personalised cricket themed tumbler glass, all of their own. 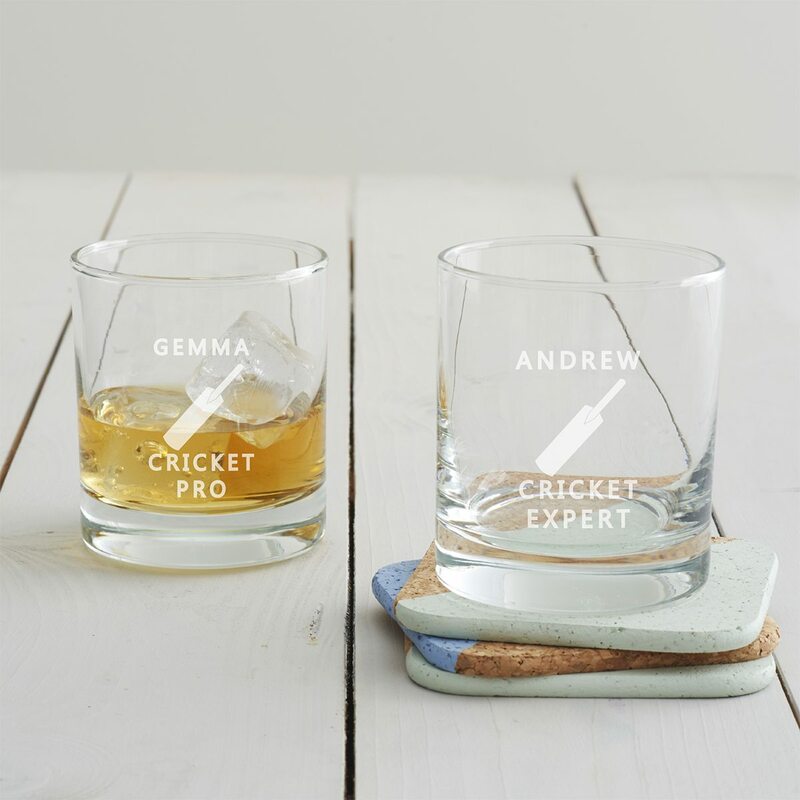 A personalised cricket themed hi ball glass is the perfect gift for a cricket fan. 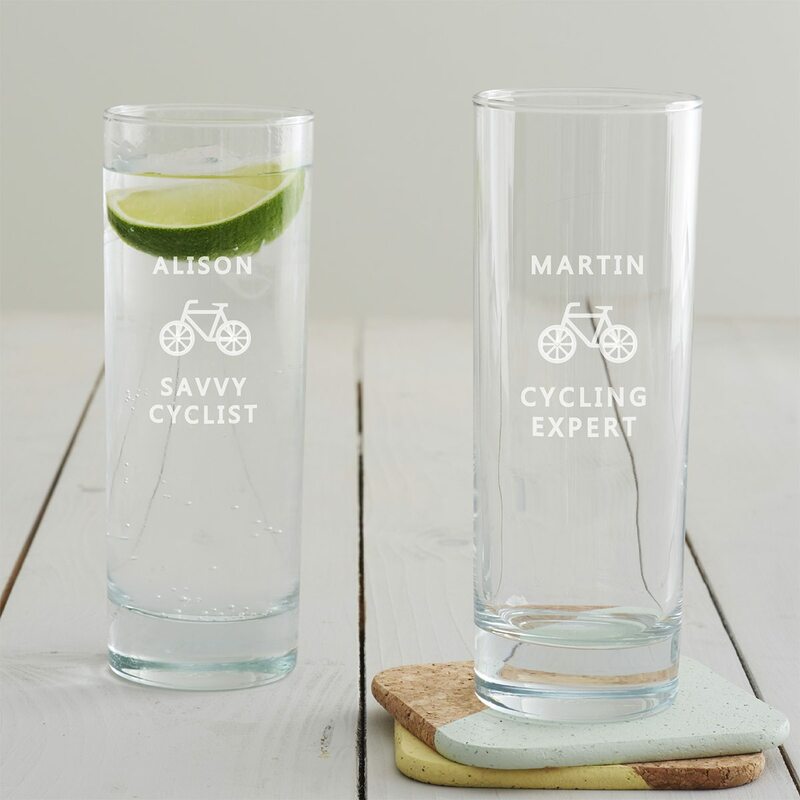 A personalised cycling themed hi ball glass, perfect for anyone who is mad about their bike! 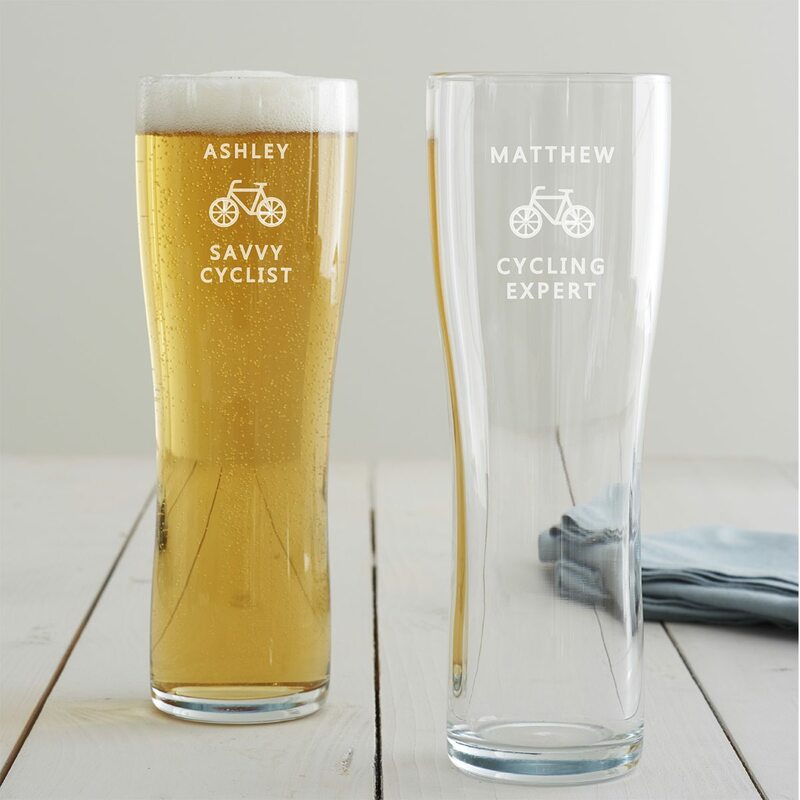 A cycling themed gift for Father’s Day which can be personalised with a special message of your choice. This cycling themed whisky glass is the ideal gift for cyclists. 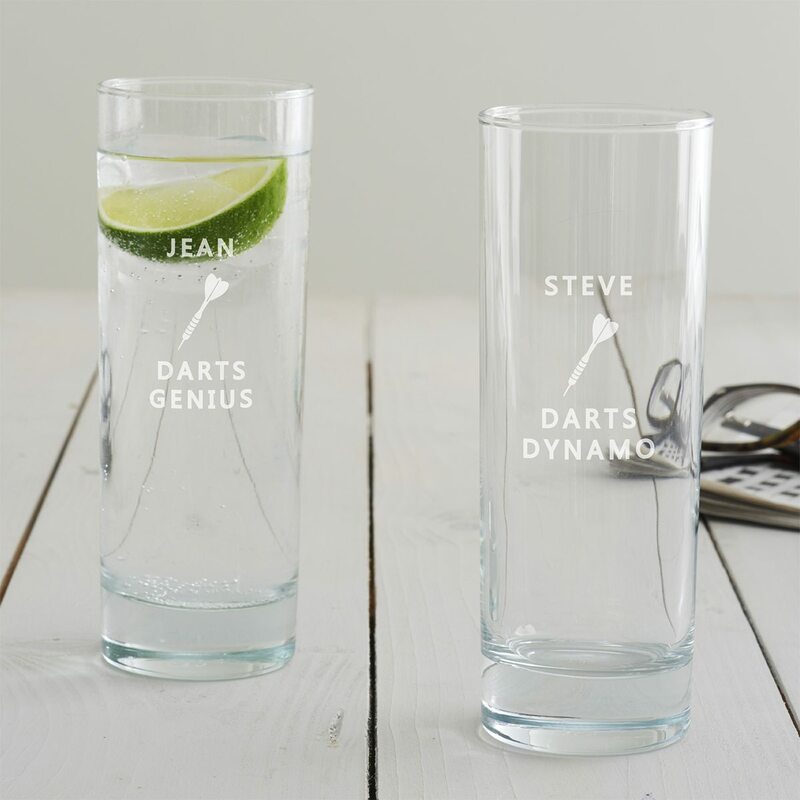 A personalised darts themed hi ball glass designed especially for darts enthusiasts. 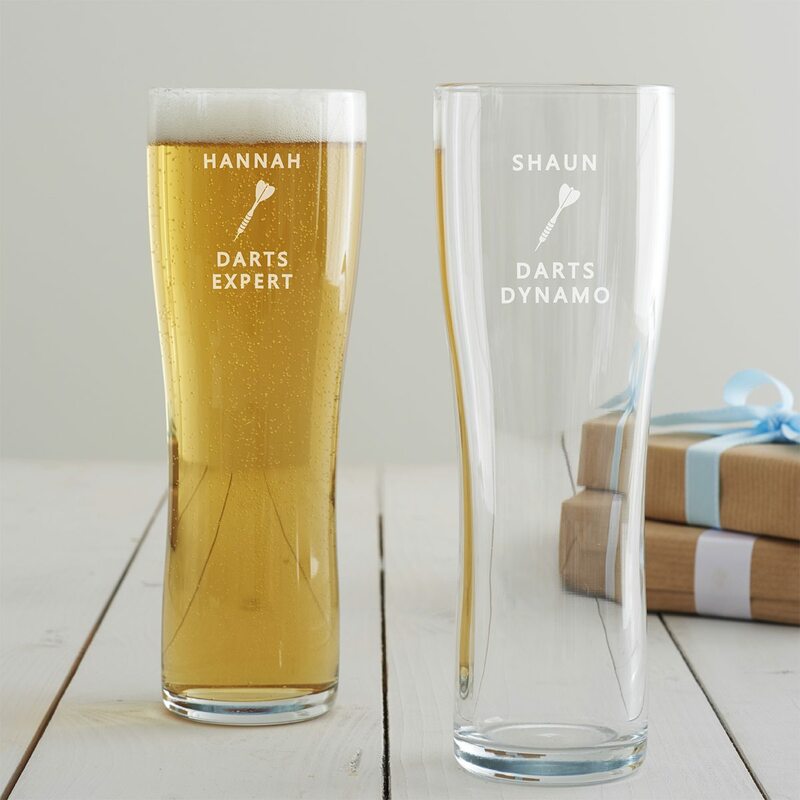 The dart design on our personalised pint glass make this the perfect gift for darts fans. 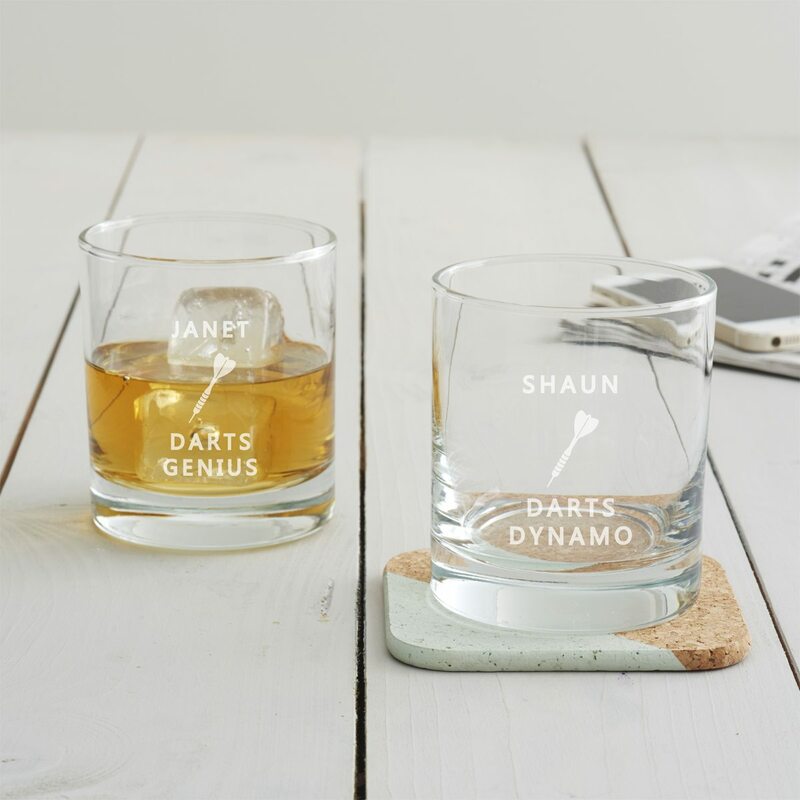 This personalised glass would make a great gift for a darts lover.